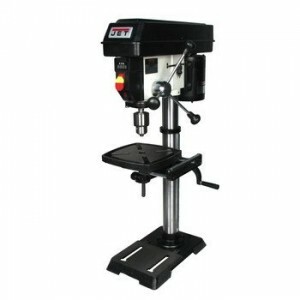 The Yost Vises common-function drill press vise mounts to a drill press bench to supply clamping motion for drilling packages, meets Federal Specification GGG-V-443-A, Kind 1, Elegance 2, Taste B; Nationwide Inventory Quantity (NSN) 3460-00-277-3504; and Industrial Merchandise Description (CID) AA51123-B3, Kind 2, Dimension 3, and is made in USA. The Desk bound base creates a company basis while fastened. The frame is made of sophistication 30 forged grey iron and the jaws are made from forged iron for sturdiness and power. 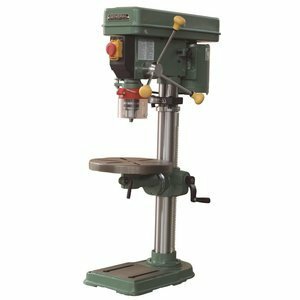 The Transportable jaw has horizontal and vertical grooves for more desirable grip of round Inventory, and the Desk bound jaw is clean. 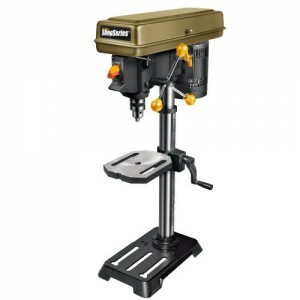 The jaws draw nearer in combination or farther aside by means of turning the vise care for clockwise or counterclockwise.